Fostered with a team of dexterous professionals, we have been able to offer Automatic Soft Drink Filling Machine for our valuable clients. We hope that we can establish a long time, happy and win-win business relationship with customers. Any question, please feel free to send email to us, we will reply you within 24 hours! Automatic Soft Drink Filling Machine adopts advanced magnetic clutch screw lid and the torsion torque is adjustable, so screwing is safe and reliable. Spiraling decline when output bottle, transform bottle shape no need to adjust the height of conveyor chains. The specially designed stainless steel bottle washing machine clip is solid and durable, no touch with the screw location of bottle mouth to avoid secondary pollution. 1. 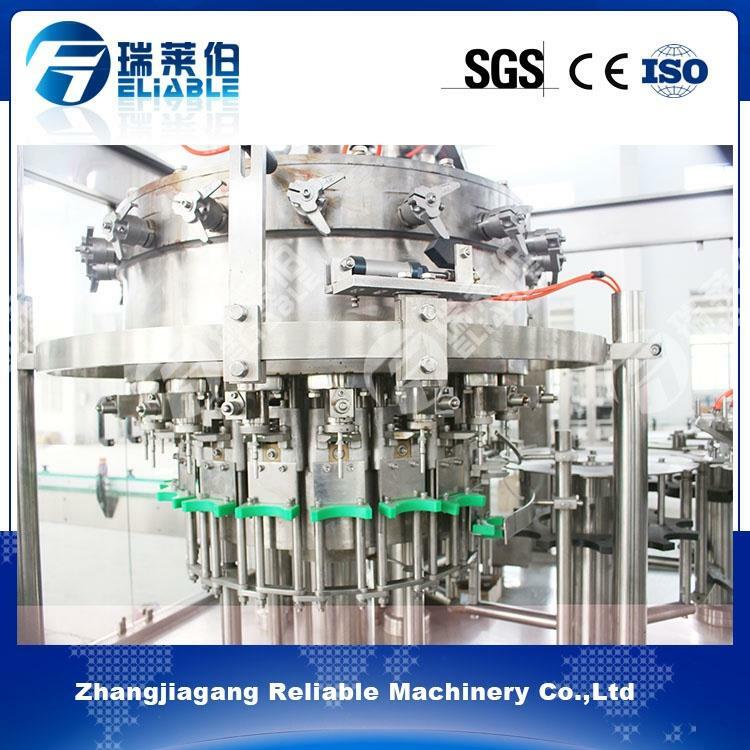 Our carbonated soft drink filling machine using the wind sent access and move wheel in the bottle directly connected technology; canceled screw and conveyor chains, this enable the change the bottle-shaped become easier.